Fisheye (highly barrel-distorted) lenses can be effectively tested with several Imatest modules. SFRplus with pre-distorted test charts. If chart parameters are entered, distortion and Field of View (FoV) are calculated. eSFR ISO with pre-distorted test charts. Distortion and FoV are not currently calculated. 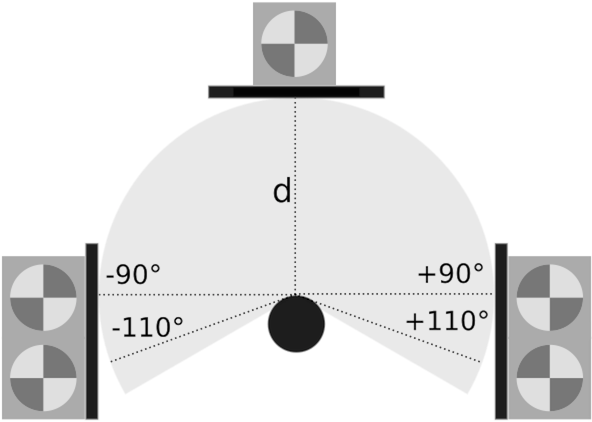 Beyond around 160° it becomes increasingly difficult to fill the image plane with a planar test chart. See SFRreg instructions for more information about running these tests. SFRreg targets can be purchased from the Imatest Store. The transmissive versions work well on the affordable Imatest LED Light Panel. 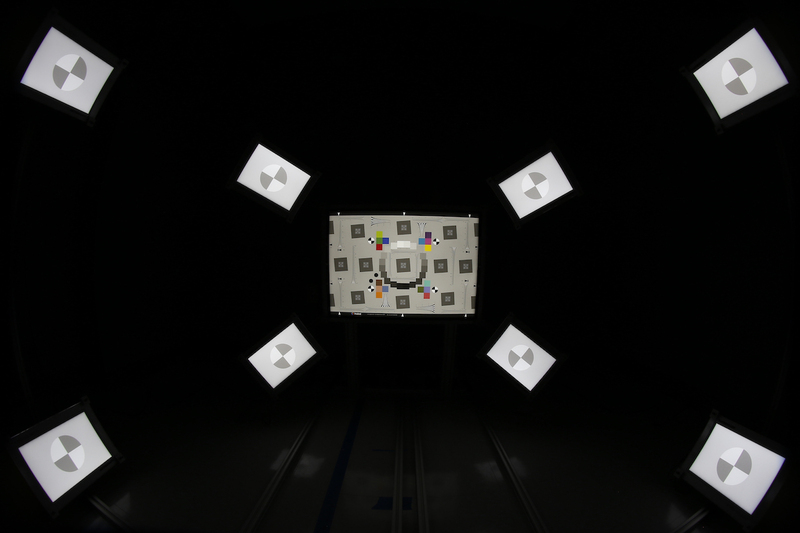 The Imatest Ultra-wide test fixture is an assembly of lightboxes and test targets for testing cameras with up to 180° FoV at a one meter distance. Currently, SFRreg results are limited to resolution (MTF) analysis and do not include other image quality factors such as distortion, FoV, tilt, or rotation. These can be calculated using SFRplus or eSFR ISO for the central portion of the ultra-wide image, then extrapolated to the outer extents of the ultra-wide lens. We will be improving our geometry calculations for ultra-wide lenses in a future release. 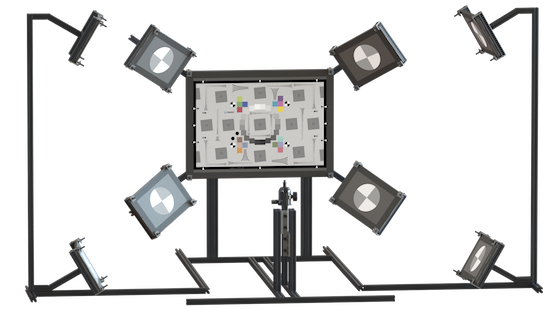 Flat panel diffuser transmissive illumination setups and traditional reflective tests setups are not suitable for ultra wide camera testing beyond around 130° testing. As you increase the angle between your lens and the diffuser panel there is a reduction in emittance. This can make the outer portions of the image dark, not because of a reduction in photoresponse, but because a curved light source is required for ultra-wide uniformity testing. 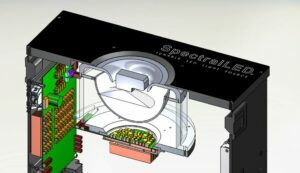 The Gamma Scientific RS-7-6 provides 180° testing with tunable spectrum. The Colorspace LB2 provides up to 300° FoV. Have any questions about ultra-wide test setups? Drop us a line to testing@imatest.com.